This is the object of the comparative study by Prof. Vanessa Grotti, EU Border Care. Since 2011, because of regional upheavals and conflicts which have thrown many families and young women out of their homes and on increasingly dangerous migration journeys, there has been an increase of pregnant refugees who enter Europe through its external borders, especially along the southern and southeastern European borders. The most commmon scenarios researchers for the EU Border Care project have encountered and studied are refugee mothers who have fled conflict with their families and young women who have either been separated from their families or trafficked along the migration trail. 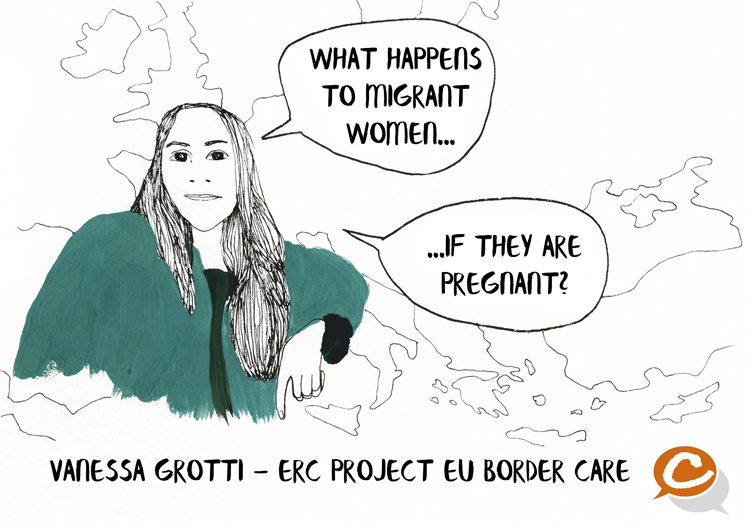 Access to safe contraception (currently not available) is a major problem across the migration trails worldwide, and the routes into the EU represent no exception. Safety and protection on the migration trails and in refugee camps are also major problems EU Border Care has identified. Pregnant mothers, regardless of their nationality or legal status, are legally classified as vulnerable in the southern European countries EU Border Care studies, and will be offered some degree of assistance and medical care in state-funded clinics and hospitals.